If you notice rust on the exteriors of your car, it is a must for you to do something about it. Leap through this article for instructions on how to fix car rust. If there’s one thing that can be more annoying than a flat tire or even running out of fuel, it has got to be a spectrum of rust on the body of your car. Why is rust on your car as annoying as it is? Well, this really is not too much of a mystery. Rust is as annoying as it is because it doesn’t really look too good. In fact, rust makes for an excellent eyesore! If you love your car and you notice rust on it, there sure should be a thing or two that you should be doing to get rid of the same. Go right ahead and read on to gain access to step-by-step instructions on how to fix car rust. 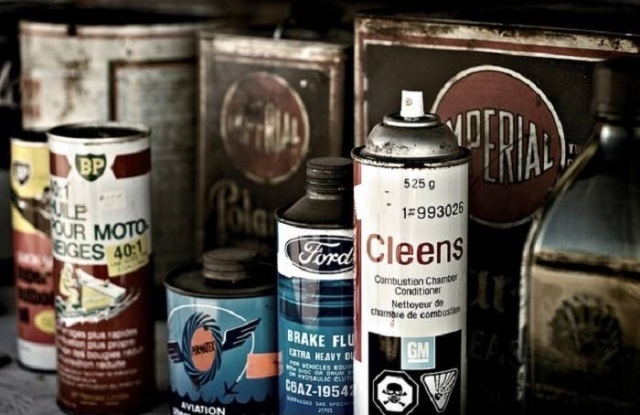 Ensuring that you follow these instructions to a T is what will help you get rid of the rust on your car. So, if you are looking to be the proud owner of a car with a body that has absolutely no rust, you now know what to do. The first and foremost thing to do when you are looking to rid your car of rust is to inspect the nature of the rust. You don’t want to go about the whole process of fixing the rust on your car without really knowing what you are dealing with. Anyone who knows a thing or two about rust on a car will tell you that small rust spots are a breeze to fix and can be easily done by yourself. However, if the issue of rust gets too big, fixing it by yourself is not advisable, here, you will need to rope in the help of a professional. If, however, the rust on your car has not spread like wildfire, you sure can fix it all by yourself. Begin by preparing all the noticeable rust spots for treatment. For this you will have to rub white spirits or rubbing alcohol onto the spots of rust. Once you are done with this, you can go right ahead and gently use a wire brush or even coarse sandpaper on the spots of rust. The alcohol will help loosen the spots of rust on your car and the sturdy wire brush or the sandpaper, to an extent, will help get them all off. However, as mentioned before, the alcohol and the brush on the paper will only help get the rust spots off to an extent. To get off what is left of the rust spots you will have to use a rust removing solvent. This is what will help you get rid of those small and ugly looking bits of rust on the body of your car. Once you apply the solution and the bits of rust come off, go right ahead and wipe clean the body of your car with a few rags. You can then move on to using coarse sandpaper on the affected area. Make it a point to use the sandpaper only on the affected area; straying away from the affected area is not advisable. As soon as you arrive at the areas that are not affected, stop right there and brush away the dust to clean the area. You can move on to the unaffected areas that surround the affected area. This will help protect the unaffected areas from the paint and the putty that will soon be a part of the steps to come. You can then go ahead and apply glazing putty over the affected area. Make it a point to do this as smoothly and as carefully as you possibly can. This will help fill in all the pits or scratches that may be extremely prominent on the affected area. This is what will also help the paint evenly cover the length and breadth of the affected area. Finish off this step by waiting for the putty to dry. You can now move on to getting the paint done with. For best results with the paint, take a chip of paint from your car to a paint or accessory shop and buy the right color as well as the right primer. With this done you, you can move on to applying the primer and waiting for it to dry. Apply a fresh coat of paint on the affected area and do so smoothly and as quickly as you can. Make sure the fresh coat of paint blends with the surrounding areas. Once the paint dries out, polish and wax the affected area. This is the last step that you will have to take to fix the rust on your car.